a Goddess for her people and worshippers. she lost all her powers and vanished in the sand of the desert, only her bones, hair and clothes remaining. As time was going by, long long after her dissappearence, she was forgotten, a myth, maybe told in some fairytales or history class. slowly some cracks grown over the sarcophagus. At the Night they wanted to transport the sarcophagus, but it broke and her remainings fell down the ground. The helpers where scared and run off. "Are you believing in ghost or something? Come back you fools!" Yelled the man after them. When the helpers came back, they only found his hat and flashlight laying on the ground. "This place is curse, she took him with her to the afterworld!" As you can see Vixen has his sisters of no-mercy here to do as she pleases. She is Riding a White Dragon, her normal Cardimage is just an illusion, she got resurrected as Mummy, what her real form is. So there you have the Ramp and cost reducing stuff. Black Widow and Canary make sure a unblockable Combo and with Kitty Pride you have the opposite for the enemy to worry about. Mystical Box will help you to steal the powers and the life of your opponents characters for your undead Girls to crush them. Katana will defend her against everything of small fry that comes at her. Not even a mosquito shall come across! 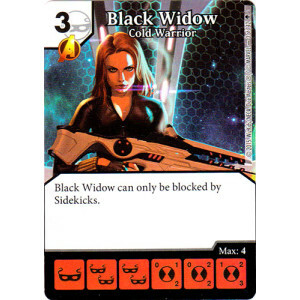 I really wanted to give her the Ring of Sidekickattraction so Katana has something to do but we can only have 8 Cards. At last the oracle, the farseeher or priest you oould say. She hast not only a cool global to make your attacking girls stronger, no she even busts out a lvl 3 Hulk and many blockers. I love teams with a theme and especially with a little backstory to explain how the characters all come together.